I had the pleasure of visiting the former home of J.L. Hudson, founder of Detroit's legendary J.L. Hudson Department Store, on December 3, 2014. I blogged about the visit here. The home is located at 121 East Boston Boulevard, off Woodward Avenue, in Detroit. The Hudson family sold it to the Catholic Archdiocese of Detroit in 1926, and the Sisters, Home Visitors of Mary have occupied it since 1998. During my visit, I committed to participating in a fundraising tea to benefit Little Angels School in Benue, Nigeria. 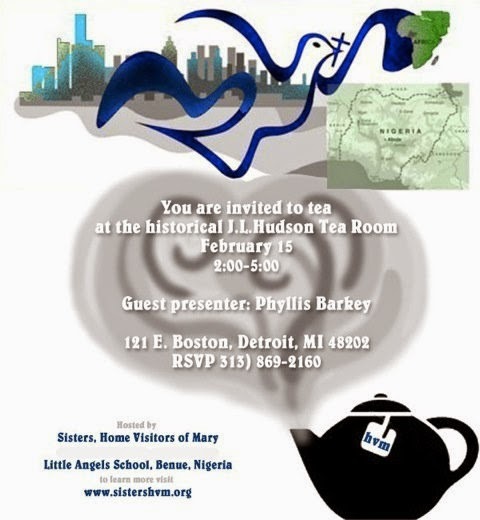 The tea is scheduled for Sunday, February 15, 2015 from 2:00 to 5:00 p.m. A minimum suggested donation of $30 per person is requested, which includes seeing a major portion of the first floor of the home; a program about J.L. Hudson, the store's Mezzanine Tea Room and 13th floor dining rooms; and tea and refreshments [scones, sandwiches, and desserts]. To help us know how many to prepare for, reservations are requested by calling: 313-869-2160. 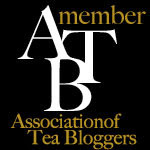 Local blog readers, I hope to see you there! I know this will be a lovely event. I surely wish I lived close enough to attend! I'll look forward to reading about it.